Cherokee Nation invites you to come say “Osyio” to the historic wonders of the Cherokee Nation–located in Northeast Oklahoma’s Green Country. Hear the ancient stories of Cherokee ancestors, told by your personal Cherokee tour guide. Experience the history of the Cherokee Nation and witness the perseverance of a people who rebuilt and flourished following the forced removal, known as the Trail of Tears. Opening summer 2019, this state-of-the-art museum is located in the 1869 Cherokee National Capitol. Enriching and immersive exhibits guide visitors through Cherokee Nation’s story from time immemorial through the present day. Visitors can engage with hands-on interactives, the latest technology and discover the true Cherokee story. Explore the oldest government building in the State of Oklahoma, now home to the Cherokee National Supreme Court Museum. Walk the grounds of the Cherokee Heritage Center, once home to the Cherokee Female Seminary. Hear the stories of Indian Territory’s most infamous outlaws at the Cherokee National Prison Museum. 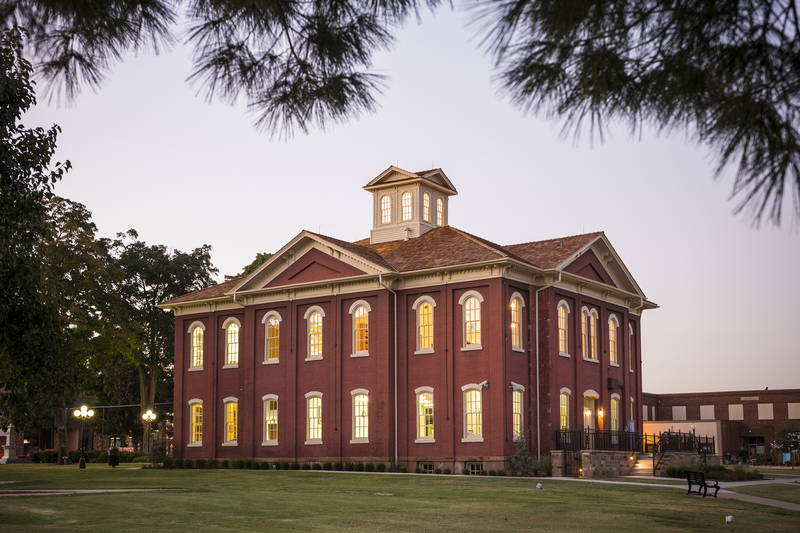 Experience all of this and more as you visit the Cherokee Nation Capital city of Tahlequah, Oklahoma’s oldest incorporated town. Note there is a 10 percent discount at all gift shops visited by tour guests. 19479 E Murrell Home Rd. View all Mobile Workshops and Excursions offered during the 2019 AITC. Image of the Cherokee National History Museum courtesy of Cherokee Nation.